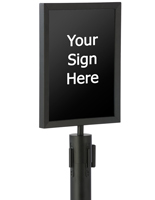 This 11” x 8.5” stanchion sign frame is the perfect accessory to accommodate our RCCSTBLK01 crowd control queue post. 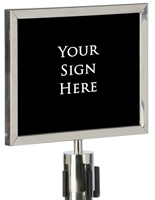 Each poster frame is engineered with steel for a durable display designed to withstand years of use in busy environments. 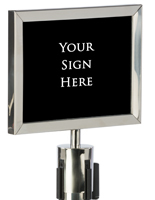 The double sided sign frame features two anti-glare lenses covering a thick PVC backer which can be directly printed on with your own custom message at your local sign shop! 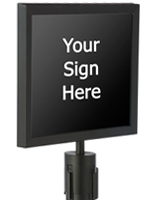 Alternatively, you can use the sign frame as an easily interchanged display accessory by creating your own flyers on standard sized paper from any printer! 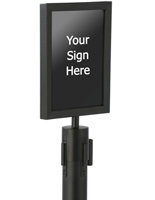 These control queue post toppers are ideal for night clubs, banking centers, grocery stores and many other locations! 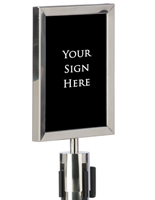 Please Note: This sign bracket fits only QueuePole.Economy Series retractable posts (sold by Displays2Go) and will not fit posts from other manufacturers or with other brand names. 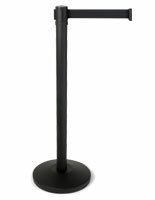 11.3" x 8.6" x 2.5"
I am very pleased with the stanchion I received. 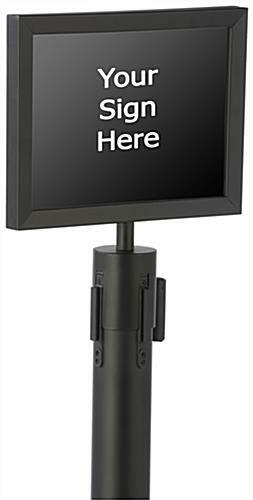 It is an easy install and I received the product in a timely fashion. 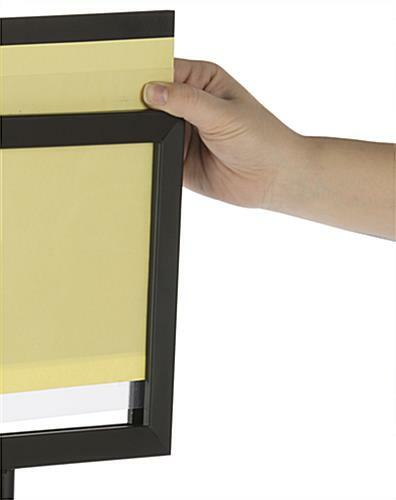 This is the second time I ordered from Displays2Go and I will order again! I'm glad you'll be shopping with us again, Gina! Thanks for taking the time to review. 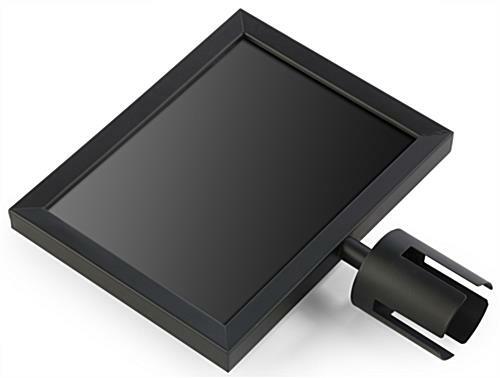 This product was fast to ship and easy to install!